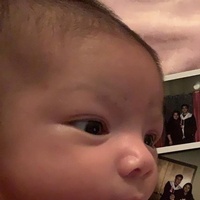 Little Dulce Melody Zarate, infant daughter of Ezequiel and Elia Zarate of Dalton, Georgia, departed this life Saturday, February 9, 2019. She was born Dec. 20, 2018 in Dalton, Ga.
She is also survived by her brother, Samuel Zarate; grandparents, Braulio and Consuelo Zarate of Calhoun, Ga., and Elodia Martinez of Dalton, Ga.
A service will be held Thursday, Feb. 14, at 1 p.m. from the Ponders Melrose Chapel with Ruben Flores officiating. She will be laid to rest at the Ponders Whitfield Memorial Gardens. The family will receive friends at the funeral home from 11 a.m. until 1 p.m. on Thursday, Feb. 14.